The fastest, most powerful production Ford Mustang has made its first European appearance, at the Goodwood Festival of Speed, south England. Only recently launched in North America and especially shipped from the U.S., the supercar Ford Shelby GT500 was driven up the famous Goodwood hill-climb by guest race drivers. Capable of more than 200 mph, the Ford Shelby GT500 has a 5.8-litre supercharged V8 engine producing 671PS (662 horsepower) – making it the most powerful engine to feature in a North American production car. The Shelby which appeared at Goodwood was also equipped with an optional Performance Package featuring electronically adjustable dampers and a Torsen limited-slip differential, plus an additional Track Package for all-out racetrack performance including three additional coolers. 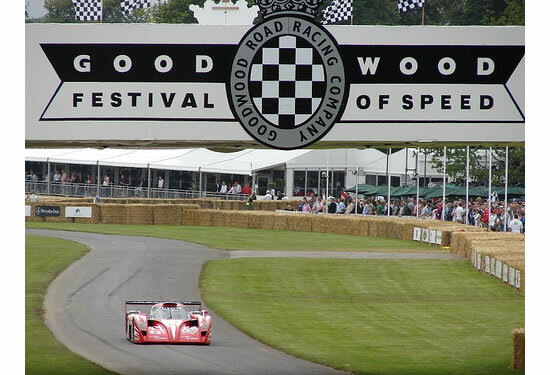 The annual Goodwood Festival of Speed is a unique combination of hill-climb, rally stage, garden party and motor show that attracts 150,000 fans. First staged in 1993, its centrepiece is the hill-climb – a narrow tree- and wall-lined ascent which rises more than 90 metres (300 feet) in just over a mile. 1. The Snake #2 Mustange #2 The Engine is 5.8 litre too! The Engine horse power is 662 Horsepower too! The top speed is( 220 Miles per hour) too! A record too! Of the fastestFord Shelby Ford Mastang too!